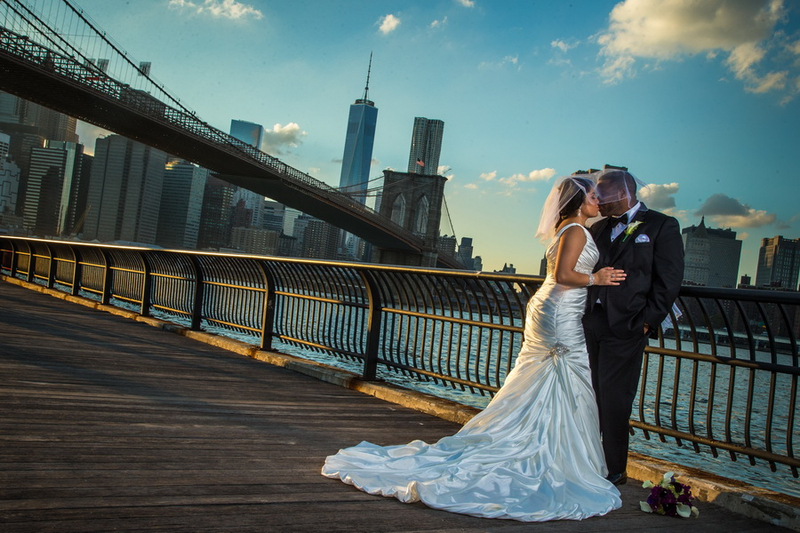 Amazing Sunset Photos of this Couple are only fitting for this Amazing Couple. 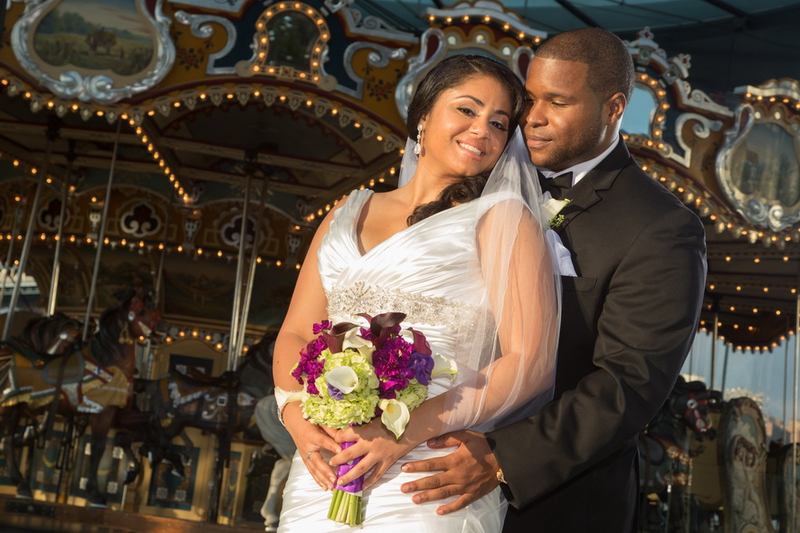 Jiselle and Eugene were married on a gorgeous October day. 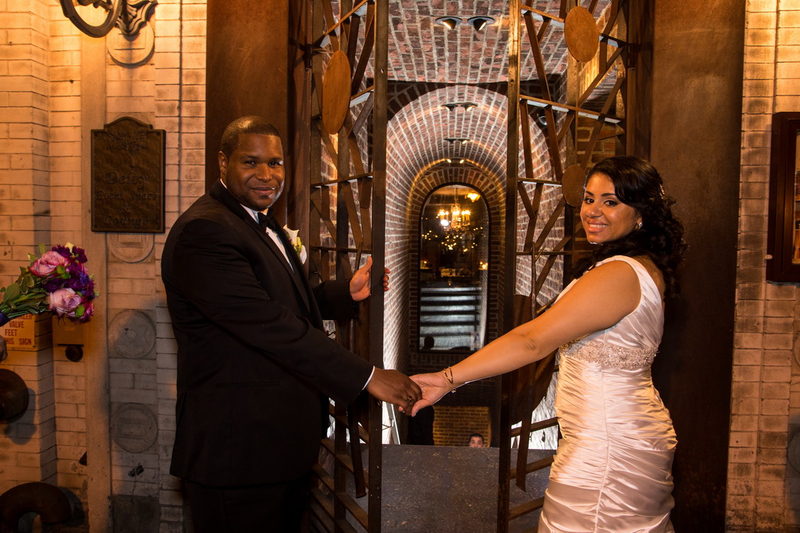 The pre-ceremony photos capture the Essence of these two. 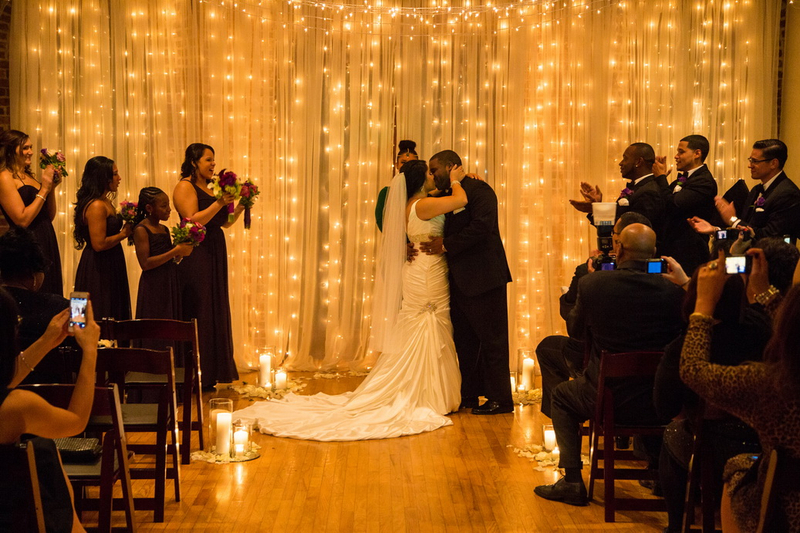 Their evening Ceremony at Deity Wedding Venue in Downtown Brooklyn featured the glow of candles and twinkle lights. 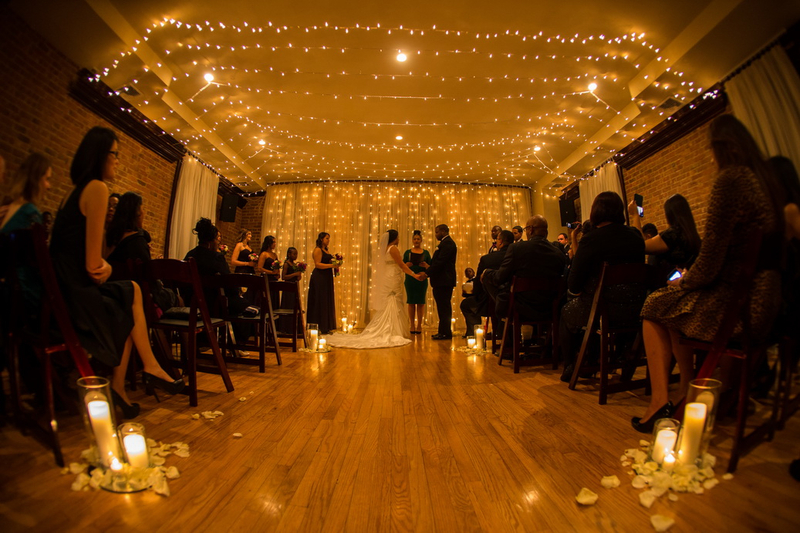 The Romantic lighting only enhanced the already Romantic mood of the night. 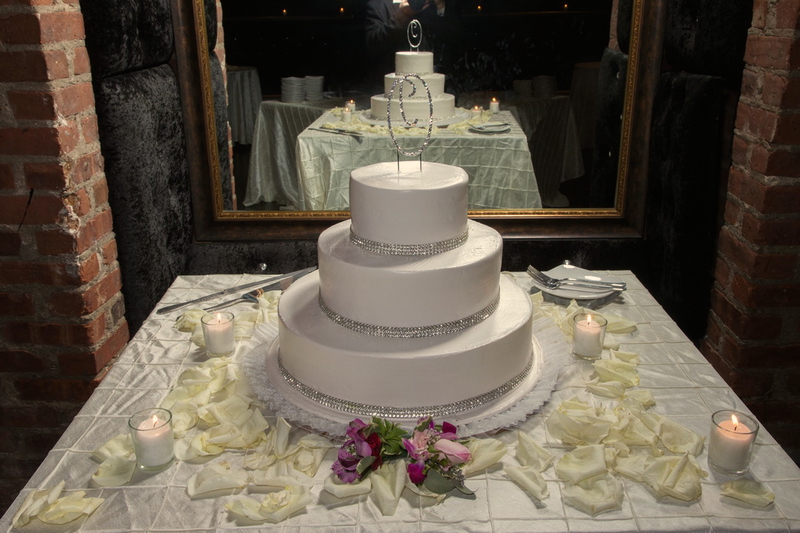 The Classic Wedding Cake was an elegant choice for this Classy pair. 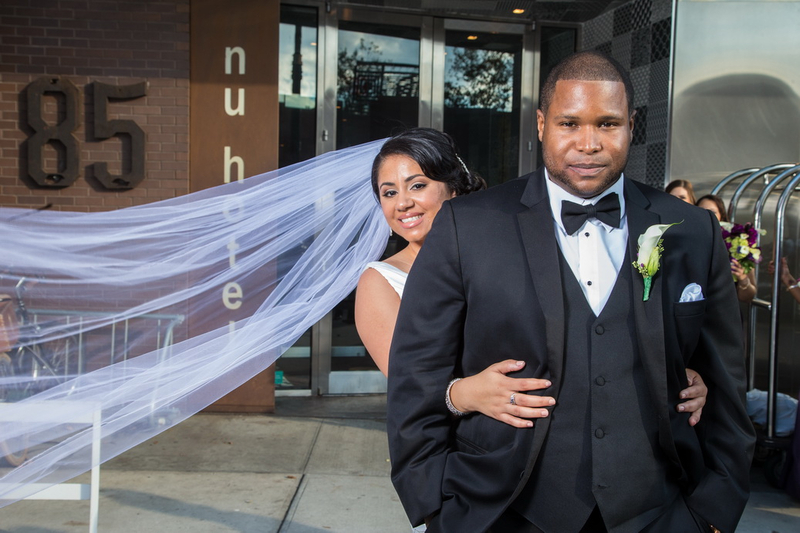 Congratulations to the Happy Couple on their Perfect Day.